I spend a lot of time with physical and occupational therapists in my job as a custom wheelchair specialist. A common comment from these professionals is that if seniors were more active, their overall health would be better. Studies at the National Institutes of Health have confirmed it. Quite frankly, it just makes sense. So, that got me thinking. (And gave me an idea to research for another article!) As I learned more about different types of fitness trackers though, I found out many of these aren’t senior-friendly. So, I spent days researching the best fitness trackers for seniors. I also learned not every senior wants or needs to track every activity of their life. Many don’t want to spend $200 on one either. So, I also researched more basic pedometers that have minimal functions but will do the job. Below is my list of easy pedometers for seniors too for those who just want basic step counting. Let’s face it, if they aren’t simple, they won’t get used! So, choose a tab below to start your research. In a hurry? Based on my research and after looking at almost 100 options, here are my top picks of advanced fitness trackers plus some basic pedometer options too. Click the other tabs for a buying guide and detailed reviews of each model. Of course, not just any fitness tracker will work well for all seniors. For the best result, you need to get the senior’s buy in to the process. Make sure they understand what is going on. There are a few key features to consider when choosing a fitness tracker for a senior. The easier the tracker is to use, the more willing they are to use it. The last thing you want is for them to feel like this is just “one more thing” they have to deal with in the aging process. Who Came Up With the 10,000 Steps Per Day Idea? Get an Easy to Use Activity Tracker. The most important point is ease of use. Let’s face it. Some seniors aren’t used to technologies like this, so if using it becomes a hassle, they won’t use it! Make sure they understand how to use the various functions. And, choose a tracker that has minimal steps and buttons for accessing the data. Even better, find one that they can get the info they want at the flick of a wrist. Make Sure the Display is Easy to Read. It’s a fact of life. Our vision gets worse as we age. Seniors with failing eyesight need to read the numbers easily and without strain. Some trackers have different screens you can choose from so you can pick the easiest to read. Consider Move Reminders to Increase Activity Levels. Activity is important as we age even if it is just a walk around the living room. All these devices monitor the number of steps the user takes. Look for one though that also gives gentle reminders if the wearer has been idle. The best option is one that lets you program these goals and reminders. But, those are the most expensive options. Activity is important as we age even if it is just a walk around the living room. The Longer the Battery Lasts, The Better! Keep the hassle factor down. Choose a tracker with a long battery life. If it needs to be taken off for charging frequently,this gives the user a chance to take it off. You might have trouble getting them to put it back on! The fewer times the tracker has to come on and off, the better! Is Heart Rate Monitoring Important to You? A senior’s heart rate can potentially indicate that other problems are going on. Both a low heart rate and a high heart rate are something to be concerned about. The HR monitors on these devices are not medical grade monitors. So, do not panic with one or town abnormal readings. But, they are useful for identifying patterns and alerting you to a potential problem. Call your doctor if the heart rate ever concerns yo. Sleep Tracking Might Reveal Some Surprising Information. Many of these trackers allows users to track how long they sleep. They can also score the quality of their sleep which is helpful for seniors with insomnia. Waterproof Devices Promote Long Term Wearing of Activity Trackers. Water and sweat resistant bands are important too because this keeps seniors from having to take them on and off for showers. It also prevents the tracker from getting damaged if they get caught in the rain or have an accidental spill of a drink. You know the senior better than anyone else. You might even be shopping for yourself. Decide which of these features are the most important for your situation. Discuss them with your doctor or other health care professional and get their input too. An important note about who seniors who shuffle when they walk. Most fitness trackers are not able to pick up the movement for seniors who take small steps with very little lift off of the ground. The accelerometer devices in fitness trackers require a certain level of up and down movement to register a step. Trackers that have GPS enabled can help with this. They are able to report total movement and distance for a day although the step count might be wrong. UPDATE 2/22/19: Me and a therapist friend of mine are researching the possibility of using a clip on style tracker that is clipped onto a shoe. Let me know if anyone has tried this. I’ll report back once I have more information. Here are the detailed reviews of the fitness and activity trackers I recommend above. I used my experience in working with seniors as a mobility and medical equipment specialist to make these recommendations. I asked my therapist buddies what they recommend. And, I used my own caregiving experience with my grandmother. I looked at nearly 100 different fitness trackers for this article. But, most were too small or too difficult to use for many seniors. Many of the products are made for younger people who hit the gym every day. Most are designed for rigorous exercise. Keep this in mind when you read these reviews. I didn’t focus on the higher level fitness capabilities of these devices. I looked for ones that had the basic functions that seniors need. And, ones that are easy to understand and easy for them to see. Easy to use fitness tracker for seniors with basic functions. Battery lasts nearly a week. No buttons – uses a tap on the display instead. Smaller screen than other models. Might be too small for some. It is not waterproof so you must remove it before showers or doing dishes. The Fitbit Alta HR is a simple Fitbit branded fitness tracker. It is a basic activity tracker plus some basic smart functions. Its goal is to keep you focused on your activity and fitness without many other distractions. Here’s a summary of the various functions and how they benefit seniors. Step Counting. Of course, it keeps track of steps like other fitness trackers. However, I love that you can set an hourly goal with this device. For example, instead of setting a goal of 10,000 steps per day, set a goal of 250 steps an hour. A small hourly goal is lot less intimidating. The device reminds the user to move around when it sense periods of inactivity. Distance. The display shows the total distance walked for the day in both steps and miles. Active Minutes. This is a great feature for monitoring the activity level of seniors. The device keeps track of the minutes per day that the user is active. Calories Burned. It keeps track of the estimated calories burned too. This probably isn’t a super important feature for seniors unless they want to use it for weight loss. But, it’s an option for those who want it. Sleep. If the user wears it while sleeping, the device will track the amount of sleep the senior gets each night. The Alta HR also tracks REM sleep. Why is this important? The amount of REM sleep is an important indicator of sleep quality. The app will tell you the total minutes of REM sleep and the percentage. Smart Functions. Most goals and functions are set through the Fitbit App. The senior or a caregiver will need to have one of these devices for initial set up and for getting full use of the data. Data is synced via Bluetooth or the USB charging/syncing cable on Apple, Samsung, and Windows 10 devices. The app allows for reporting and viewing graphs of the data. The screen on the actual tracker itself shows the basic data of the five functions discussed above. Main Screen. The main screen is smaller than some of the other models I ‘ll recommend. This is simply a result of the thin, sleek design. Most seniors will not have a problem reading the display with corrected vision. But those with serious vision problems may find it hard to read. The screen is not back lit and is definitely difficult to see outside or in bright lighting conditions. The size will also make seeing text messages difficult. Buttons. The Alta HR has no buttons! The functions are changed on the display by a tap on the screen or on the side of the display. Each tap cycles the screen to the next function. This is a great option for elderly people with arthritis or poor dexterity in their fingers. Band and Fastening. The band is soft, flexible, and comfortable. It works like a standard watch band. It’s easy to fasten and will feel familiar to most older users. Batteries and Charging. This activity tracker comes with a USB charger that will connect to a tablet or computer. To charge it via a wall outlet, a USB charging box will need to be purchased separately. Charge should last nearly a week. Not Waterproof. Seniors using the product should not get it wet. Fitbit states that rain and small splashes are ok but do not shower with it. It should be taken off when doing dishes, etc. as well. Keep this in mind if the user has dementia or is forgetful. The Alta HR comes with an “always on” heart rate monitor. The heart rate is measured every 5 seconds and the last reading is displayed on the screen. A log is created of these readings and synced with the smart phone or tablet. Users report that the HR monitor is accurate – within a few points of stand alone monitors. Big, bold numbers make fitness trackers easier to see. The sleek styling and thin profile are intentional. This product was designed for those who want a simple fitness tracker. It is thin enough that it will hide under shirt sleeves. It is lightweight and not bulky at all. Many seniors who aren’t used to wearing tech devices will appreciate that. Medication Reminders. Set multiple alarms throughout the day for medication or other reminders. Activity Reminder. If the device goes inactive for long periods of time or the hourly goal is not met, it will give a gentle reminder to get moving. Time/Date. the current time and date are displayed on the main screen in nice-sized print. Most people will have no trouble reading the numbers. My research has shown that this is the best Fitbit for seniors who want the Fitbit brand. It is one of the more simple activity trackers for seniors with only basic functions. The screen is probably too small for those with severe vision problems. There are some negative reviews online. Most of these complaints though are from people who are looking for a more serious fitness device. I’m talking about runners, marathoners, and cross fit nuts. They complain the device is too simple and lacking. This confirms though that it is a great choice for many senior users. So, if you are looking for basic activity tracking and heart rate monitoring, this device fits the bill. Lightweight and comfortable to wear with a soft silicone band. Large, crisp main screen that is easy to see. Main functions are displayed on screen with tap and swipe functions. Set custom activity goals through the Fitbit App. Only has option for a daily steps goal. No prompt to get moving if wearer is inactive. Charges only through a separate charging dock. 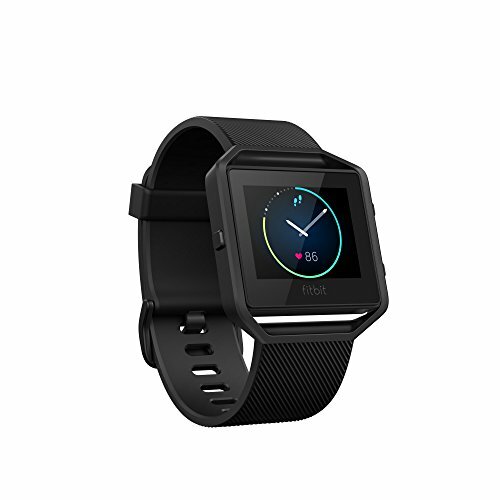 The Fitbit Blaze is another choice for best Fitbit for seniors. It has several senior friendly fitness tracker features, especially for more active seniors. The large screen is easy to control and see. For those familiar with Apple products, it will feel very familiar. For less active seniors though, the Blaze may fall a little short. Step Counting. This is the main function that most seniors want from a fitness tracker. The Blaze only offers the option for a daily goal. But, you can independently set that coal if the usual 10,000 steps per day is too much. Distance. The display shows the total distance walked for the day in both miles and total number of steps. Active Minutes. The tracker displays the number of minutes per day that the user is active. This info is also logged in the app. Calories Burned. The Fitbit Blaze records this too. The HR monitor makes this number relatively accurate. This is probably not a major feature for seniors but it is an option if you want it. Sleep. Sleep tracking is another included feature. It does only monitor the overall sleep time. No REM sleep is tracked. Smart Functions. You do not have to have a smartphone to use the Fitbit Blaze, but you will need a smart device to set it up and use the data from it. Changing the goals and settings requires access to the Fitbit App which works with Apple, Samsung, and Windows 10 devices. The base functions though (steps, calorie burning, total distance, active minutes, time and date) show in the Blaze’s main screen at the touch of a button. Main Screen. The main screen is large and easy to see. The color screen is bright and crisp with sharp numbers and letters. This helps seniors who have vision problems. You can choose from multiple watch faces during set-up – some have larger print than others. It also has an ambient light sensor that adjusts the screen brightness based on the current lighting. Buttons. The Blaze does have a few small buttons on each side of the face. This could be a problem for seniors with arthritis or poor finger dexterity. The user can change functions by swiping and tapping the watch face similar to Apple products. Band and Fastening. The band is a soft, textured silicone material. It is flexible and comfortable so it shouldn’t irritate fragile skin. It closes like a standard watch band that most seniors are familiar with. Batteries and Charging. Charging the Blaze is a bit more difficult than some of the other recommended activity trackers for seniors. You have to pop the screen out of the band and place it in a proprietary charger. Not everyone is going to want to do this. Charging lasts 4 to 5 days in most cases. Not Waterproof. The Blaze is only splash and sweat rated. It should never be submerged. Make sure the user understands this. The Blaze with an “always on” heart rate monitor that takes about 20 readings per second. The resting and active heart rate are displayed on the screen and logged for viewing details in the Fitbit App. Users report that the HR monitor is accurate – within a few points of stand alone monitors. Fitness trackers help motivate seniors to stay active. I think it is pretty obvious that the Fitbit Blaze was styled to look like an Apple Watch. With the touch screen functionality, it works like one too. Overall, it is lightweight and comfortable to wear. About the size of a standard watch. There are lots of third party bands available too. Medication Reminders. The Blaze has multiple alarms that are useful as appointment of medication reminders. There is a silent alarm option too for privacy. NO Activity Reminder! If the user needs prompting every now and then to get up and move, the BLAZE does NOT have this option. Time/Date. the current time and date are displayed on the main screen in large, clear print. I am not going to spend a lot of time on this, but the Fitbit Blaze does have lots of more advanced fitness related features. It tracks lots of data during running, yoga, cycling, weight work outs and more. This tracker displays notifications from your smartphone including text messages, calls, and calendar reminders. This is done via Bluetooth and you must be within 20-30 feet of your phone. Note that you cannot receive email notifications however. You can also control and play music from any connected Bluetooth device. The Blaze is the best Fitbit for seniors who are still very active. People who enjoy brisk walks, jogging, and even cycling and yoga will benefit from this smart fitness watch. The main advantage is the large, crisp, easy to read screen. This keeps older eyes from struggling to see the results of their activity. “Techy” seniors who already use smartphones or Apple products will feel right at home with this model. Especially the smart features discussed above. 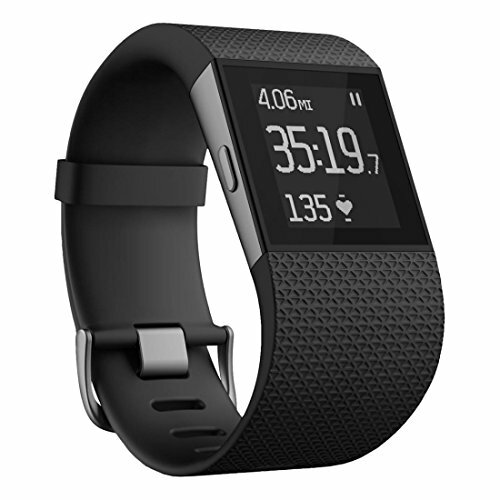 But, for more elderly folks who are less active, The Fitbit Alta HR above may be a better choice. This one does not prompt users to move after periods of inactivity. Some seniors and elderly people will find the charging dock difficult to use. Two different move alerts to encourage activity. Bright, easy to see screen with backlight option. Screen print is easy to read especially in horizontal mode. Set up to only use the functions the senior cares about. Waterproof – wear it in the shower or swimming. Lightweight, low profile, and comfortable to wear. Settings button is easily accessed – could cause issues. The Garmin Vivosmart has some unique options and functions that make it a great choice for best fitness tracker for seniors. First, the device offers custom set up options so that only the features you want to use are shown. This might keep confusion down for less techy seniors or those with dementia. Second, I really like that it has two different move reminder options to get the user out of the recliner and moving. There are a few other pluses too. Keep reading to learn more. The Garmin Vivosmart has a great feature for seniors that the others do not offer. Through the connect app, you can turn on and off the functions you want displayed on the screen. This allows you to make this a truly simple activity tracker for seniors. Only want the number of steps and the time to show? Set that up easily in the app! It does have a move reminder – more about that a little later. Step Counting. 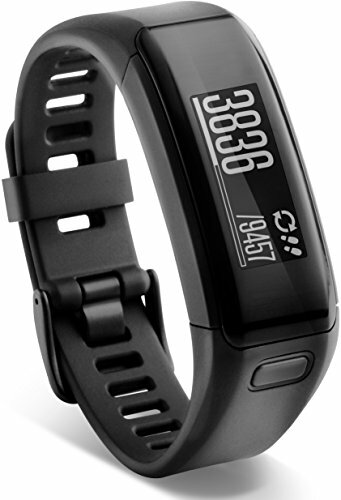 The Vivosmart HE only offers a daily step goal. But, you can manually set the goal via the app. Also, Garmin gives you another option called “Auto Goal.” this tool sets a new goal based on the previous activity to keep you motivated to do a little more each day. Active Minutes. The tracker logs the total number of minutes that the user is active each day. Calories Burned. It also records the number of calories for those who want that capability. But, this is probably not a major feature for most seniors. Sleep. Sleep tracking is another included feature. It does only monitor the overall sleep time dividing it into deep and light sleep. No REM sleep is tracked. Smart Functions. You will have to sync the tracker to a mobile device and the Garmin Connect app via Bluetooth or sync cable. This allows you to set up the device initially as well as sync the data for viewing trends, etc. But, it does work on a daily basis without the app once set-up. Main Screen. The main display is bright and clear and visible even in bright sunlight. There is even a backlight function for poor lighting conditions. Another cool feature is that the screen can be set to display vertically or horizontally. I recommend the horizontal option because that setting makes the print larger and easier for seniors to read. Buttons and Controls. The display is a touch screen. Swiping the screen displays the various functions and data. There is one button just below the screen that opens up the settings menu. This could confuse some seniors who aren’t tech savvy. It is important that they know they can push the button again to exit the settings menu. Band and Fastening. The band is a soft, flexible, and textured rubber material with a watch style closure. Batteries and Charging. The Viviosmart HR does require a proprietary charging cable. But, you don’t have to disassemble it like the Fitbit Blaze. It snaps right onto the back of the unit. Charging lasts 5 days in most cases maybe longer without exercise use. It is Waterproof! So, the senior can keep it on at all times – even in the shower. This makes it less likely to be misplaced because it won’t need to be taken on and off so much. Like the others, it comes with an optical heart rate monitor that records the resting and active heart rate. The heart rate monitor can be turned on and off via the settings. Users report that the HR monitor is accurate for walking, running, and daily activity but not for strenuous exercise. Any activity – indoors or out – an improve the mood of seniors. This one is lightweight and comfortable to wear with a thin profile. It looks good enough to show off but is also small enough to hide. It comes in several colors and there are a ton of 3rd party bands available. Not Good for Medication Reminders. Because there is only one alarm per day, the Vivosmart is not a good option for medication or appointment reminders. GOOD Move Alert / Activity Reminder! There are two different move alerts. First, there is a move bar on the main screen that gets longer and longer the more the user sits. Once it has reached a certain period of time, it vibrates and reminds the user to get up and get moving! Time/Date. the current time and date are displayed on the main screen in large, clear print. The horizontal setting is best for seniors. Weather. When synced with the app, a brief summary of the current weather and forecast are shown on the display. The fitness options are geared toward running and walking. This is not a great choice for other exercises. This device has the usual smart watch functions like text, email, and phone notifications. There is also a “find my phone” feature. You can control music on a Bluetooth device as well. The Garmin Vivosmart HR is definitely one of the best fitness trackers for seniors because of the customization ability more than anything . I love that you can set it to only use the functions you want. So, it can be as advanced or as simple as you want it to be. Other senior friendly features are the bright and easy to read screen and the fact that it is waterproof. Another great feature is the multiple move reminders keeping seniors active. My main caution for the Vivosmart is to be careful with the settings button especially for users who are less tech savvy. Incredible battery life – up to 45 days. Large, easy to read, customizable screen with Gorilla glass. Does not require an app for use or set-up. Display is always on for easy viewing of time, date, and basic info. 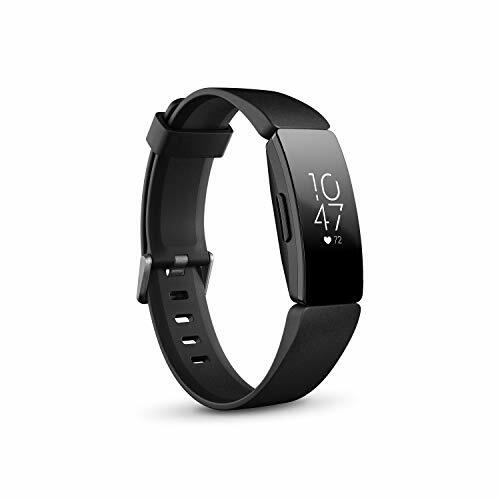 Only fitness tracker for seniors with GPS in this price range. Small button must be pressed to use functions. A bit more complicated to use than some of the Fitbit models. The Amazfit Bip has many of the same great features for seniors that the other activity trackers offer. Like the Garmin model above, you can select which functions the tracker uses and displays. It also has an incredible battery life – the manufacturer says up to 45 days. It is more complicated to use than some. The user should be familiar with touch screens and swipe moves. Step Counting. Like the other models above, the Bip has a daily step goal. You can set your own goal through the app. Active Minutes. There is not a specific indicator for the total number of active minutes on the watch itself. But, this information is available in the app. Calories Burned. These are calculated based on activity and heart rate. Sleep. Sleep tracking is another included feature. It does only record the total minutes of sleep. No REM sleep is tracked. GPS / Altimeter / Barometer. This is the only senior friendly activity tracker that has these functions. Active seniors will want these because they help give accurate workout results for seniors who walk, run, or hike. It is very unusual to find a GPS enabled tracker under $150.00! Smart Functions. This fitness tracker for seniors does not require a smartphone or an app for setup or use. It uses the Mi Fit App if you want to use it though. It does improve the quality of the information though. The app also allow you to remove the functions you do not want and even lets you put them in the order you prefer. Main Screen. The display is large with good resolution and brightness. Users report it is easy to see in the sun even and has a backlight function. It is made of Gorilla glass for durability although it is not indestructible! I also like that the screen is always on so there are no buttons to push to see the time and steps. It also comes with extra digital watch faces so the user can find the one that they can see the best. Buttons and Controls. The functions are changes by a touch screen. To activate the screen, the user does have to push a small button on the side. This is good because it keeps the screen from accidentally being engaged. But, some seniors could have trouble pressing such a small button. Once the screen is active, the senior swipes the screen until they find the function they want. Band and Fastening. The band is a soft, comfortable rubberized material with a standard watch latch closure. Batteries and Charging. Did I mention the incredible 45 day battery life? Even if you don’t get the full 45 days, this still has the longest battery life on the market. (UPDATE: The manufacturer has recently backed this down to 30 days). Fewer charges make it an easy fitness tracker for many seniors! It comes with a charging dock that snaps right onto the watch. No need to disassemble it first. It is Water Resistant ! It does carry the IP68 water resistant and dust proof certification. The maker’s advertising stated yo can use it in the shower. But, there have been some complaints that the hot water from a shower over time did eventually let water in. So, be cautious with this. The Amazfit Bip also comes with a similar optical heart rate monitor. It does record both the resting and active heart rate. The heart rate monitor can be turned on and off via the settings. Users report that the HR monitor is accurate when compared to separate heart monitors. Setting goals and checking progress is important for increasing activity levels. This one is lightweight (only 1.1 oz) and comfortable to wear as well. It is a 1.28″ across and about the size of a standard man’s wrist watch. But, it has a unisex look too and will work equally well for senior men and women. It comes in 4 colors with aftermarket bands available as well for customization. You can change the digital watch face to one that suits your tastes, gives you the info you want, or has larger print. Medication Reminders. You can set three alarms per day for medication or other reminders. But, you will need the app for this. Move Alert / Activity Reminder! The Bip will remind users to get moving if they have been sitting for an hour. It also praises them if they are on track to meet their goals. Time/Date. the current time and date are displayed on the main screen in large, clear print. You can choose from different display options to find the one that works best for you. Weather. Weather is available too when synced with the Mi Fit App. The fitness options are geared toward walking, running, and general activity monitoring. You can receive text, email, and phone notifications on the Amazfit Bip. You can not reply on the device though. All replies will have to be on the smartphone. Overall, I recommend the Amazfit Bip fitness tracker for seniors. The incredible battery life means less charging so it won’t be constantly taken on and off. It tracks the basic functions (steps, distance, calories) that seniors need. I like that it reminds the wearer to move if they have been idle for a while and even praises them when they are doing a good job. The Bip is programmable and customizable for the user too. It is a bit more complicated than some of the others though. The senior must press a button to activate the touch screen. But, they will only have to do this to change functions. The screen stays on all the time so they can get their basic info at a glance without the button. Exceptional battery life lasting up to 5 days. Lightweight build that makes for a comfortable experience. Advanced tracking features and capabilities. Premium design and a robust build. Easy to use. This is especially due to the bright screen is easy to read. The user interface can take some time to understand. However, this is easy to overcome by simply using the companion app. It does not track swimming. It does not have an altimeter. Under the Inspire range, Fitbit launched two products; the standard version of the fitness tracker and the HR, which is a higher spec tracker. 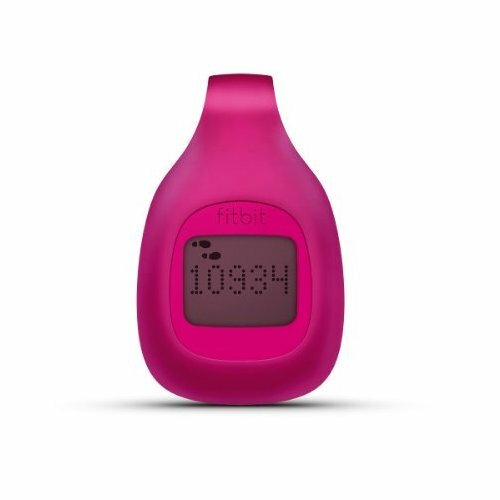 The Inspire HR is designed to replace Fitbit’s Alta HR, by offering the typical fitness tracking capability in addition to tracking the heart rate. That said, it is important to note that while the Inspire range has been designed to be feature-filled and capable it is also pocket-friendly. It has all the features you would expect of a high-quality fitness without being excessively pricy. This bodes well for the elderly looking for a fitness and heart rate tracker. 5-Day Battery Life – The Inspire range comes with an impressive 5-day battery life to keep you going. Importantly, during all this time, the tracker will keep tracking your activities and your heart rate. Heart Rate Monitoring – The Inspire HR gets the HR name from the fact that it tracks and monitors the heart rate. As such, you can wear this tracker all through to completely track your heart rate, giving you insights into your heart rate trends over the course of time. Moreover, the Inspire HR uses the heart tracking and monitoring feature to also track your sleep stages. Through the app, you are able to learn about the quality of sleep you experience and you also get tips on how to improve the overall sleep quality you experience. Furthermore, the heart rate monitoring features allow the tracker to personalize breathing sessions to help you relax that are based on your heart rate. Automatic Exercise Recognition Feature – The Inspire HR recognizes when you are engaging in exercises and automatically tracks exercise sessions. Whether it is a walk, a bike ride, or a run, the Inspire HR will automatically track and log your progress in the app. The Fitbit Inspire HR also comes with over 15 goal-based exercise modes to help you achieve your fitness goals. All-Day Activity Tracking – The Inspire HR has been designed to track every activity you engage in during the day. It tracks your active minutes, your steps, the distance you have covered, and the calories you burned over the course of the day. This tracker uses GPS to track your real-time pace and distance in any activity/exercise you engage in. Other features you get with the Inspire HR include light and thin design and build, water resistance up to a depth of 50 meters, stopwatch and timer, smartphone app alerts, and on-screen notifications. The Inspire HR is a clean fitness and heart rate trackers that is easy to use and priced at a pocket-friendly price. If you are interested in automatically tracking simple aspects of your daily exercise and your heart rate, this is a good choice. The Fitbit Surge is billed as a ‘superwatch’. It is a fitness band that looks like a watch and that can tell the time, but that also has all of the important features of a fitness band, such as a heart rate monitor, sleep tracking feature, GPS, and more. 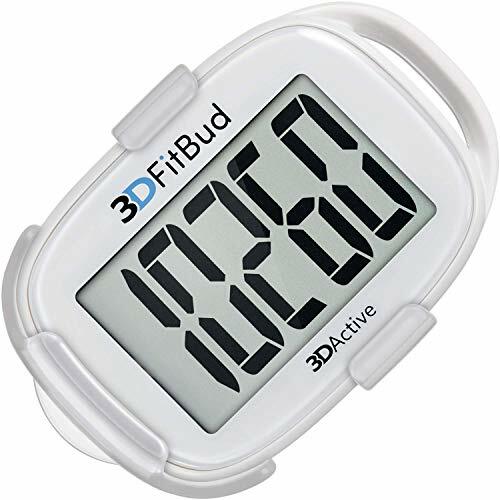 This watch is ideal for seniors who are looking to get more active. It boasts a clear OLED screen, easy to use touch controls, and a combination of basic must-have features as well as added extras for those who are a little more tech-confident to play with. There are many fitness watches and trackers on the market, but what sets this watch apart, in my opinion, is that it looks and performs like a traditional watch. A lot of senior citizens find that the more compact Fitbits and other brands are too frustrating to use because they have no display. They look more like jewelry, and if you want to check the readouts or change the mode of the device you must follow a counter-intuitive procedure that involves tapping repeatedly on the band and counting the number of lights that appear on it. The Fitbit Surge, on the other hand, works well as a watch with a heart-rate monitor built in, and can be paired with a phone of you want to use the more advanced functions. The battery life is, on average, five days. This can be extended if you just take the watch off when you bathe or shower, and let it charge for a few minutes during that time. With a short charge every morning or evening you should be able to use the watch to track your walks, jogs or cycling trips, control your music, and use the other Bluetooth-enabled features, without fear of the watch running out of power. Once it becomes a part of your daily routine to charge the watch you should have no issues with it. The one downside that I noticed is that it does require some cleaning and care. You should wipe the strap down regularly and also wipe the underside to keep the heart rate monitor reading properly. It’s also a good idea to put a screen protector on the face, to stop the glass from scratching if you are quite active. The build quality is decent for such a high-tech gadget, but it is more delicate than one might first think given that it is supposed to be a fitness device. If you are looking for a fitness watch that looks more like a watch and less like a piece of futuristic jewelry, then the Fitbit Surge is a great choice. Like I have said before, not every senior needs or wants every bell, whistle, and feature of the more expensive activity tracker. Here ae reviews of simpler pedometers that handle the basic activity tracking functions like step counting. These days, you can get apps for your smartphone that can count how far you walk each day, and there are smart watches and fitness trackers that can do the same thing. The problem with those devices is that they are expensive, have a fairly short battery life and can be difficult to use. The 3DFitBud is a single-feature device. It has just one job to do; count your steps. It is incredibly easy to use, and it features an extra large display so that even those with less than perfect eyesight should be able to see at-a-glance how close they are to their target. This device is designed to be worn on a lanyard, although you can also clip it to your hip, or even put it in your pocket and it should still count your steps. The lanyard option appears to be the most accurate, though. Those who are heavily interested in the sharing side of fitness, and who want to upload their workouts to RunKeeper or Strava might find that this is a rather boring gadget. For a senior citizen who simply wants some motivation to remember to go out for that morning walk, or to do an extra lap of the park, however, it is ideal. It’s a no fuss, no hassle way of counting your steps. It doesn’t need charging every day, you don’t have to worry about syncing it with your phone or connecting it to your WiFi, and you don’t have to worry about the GPS getting confused and failing if the weather is bad. It’s hard to beat the simplicity. I’m personally not a fan of the look; it is rather plain and clinical, and it certainly isn’t unobtrusive. However, you’re unlikely to wear it to a meeting or social event. If you’re out for a walk for fitness it will make you look the part, and that is certainly worth some praise! If you want to get more active and need something to help you hit your daily steps target then this is a great choice. 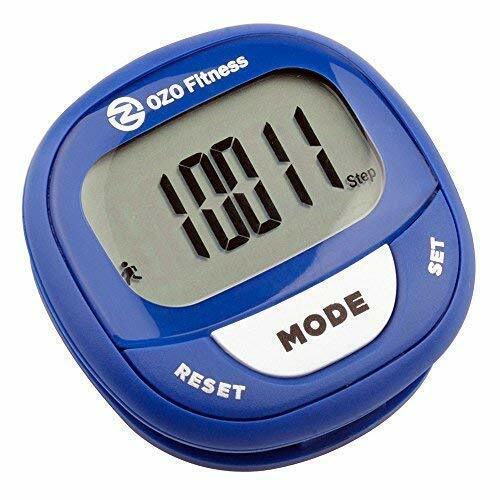 More reliable than carrying your phone with you, and more affordable too, this pedometer is a good motivational tool. The Zip is one of the most user friendly and affordable fitness trackers on the market. Considered to be more than a simple pedometer, the Zip tracks the number of steps you make, distance covered and calories burned. All information is then automatically sent to your Fitbit account -after the tracker syncs with your device of choice, computer or smartphone – where you can use it to analyze your activity levels and even set goals. When you order the Fitbit Zip you will receive a package that includes the tracker, battery tool, and clip and USB connector. Easy To Use: The Zip is quite easy to use once you set it up through their website. All you need to start tracking your activity level is to clip it into your trouser pocket or bra. The device is also designed to synchronize automatically with your chosen device after collecting all your activity data. Basically, you get full functionality of the tracker without having to make any complicated manual settings. Wireless Sync: The Fitbit Zip wirelessly synchronizes with the Fitbit App on your phone via Bluetooth. Since this is done automatically, you as the user won’t have to manage the process. However, to synchronize the device with your computer, you might have to use the USB dongle that comes with the package. Long Battery Life: One of the main advantages of the Zip is the fact that you do not have to recharge it; ever! As such you never have to worry about forgetting to charge the device, or running out of charge midway through your workout. The tracker is powered by a coin battery that the manufacturer says can last for six months even with regular use. If the battery dies, replacements are widely available at affordable prices. You can use the Fitbit App or your Fitbit account to check the battery level at any time. Durable Clip: The Fitbit Zip comes in a high quality, durable clip that is also water resistant. This means that you can use the tracker as regularly as possible and in any weather without worrying about damaging it. Small Screen: On the flip side, the miniature Fitbit Zip comes with a similarly small screen. Seniors who have eyesight problems might find reading the screen quite challenging. Doesn’t Track Sleep And Stairs: The Zip does not come with a stairs or sleep tracking features seen on some of its rivals. 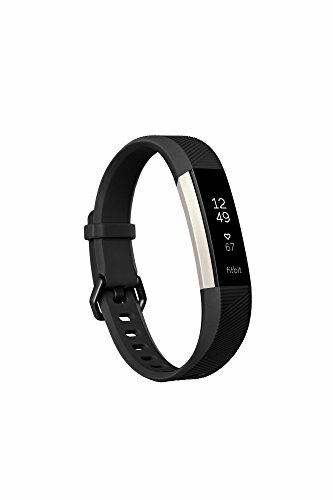 The Fitbit Zip is not the most feature rich fitness tracker out there as you can see from the above; however, if you are looking for a tracker that helps you monitor your activity levels throughout the day, while leaving your wrist unencumbered then it is your best option. Its wireless and automatic synchronization capabilities coupled with a long lasting battery make it easy and convenient to use especially for seniors who might struggle with complicated controls or have trouble remembering when to recharge. The OZO Fitness SC2 Digital Pedometer has a 3D tri-axis sensor to accurately measure steps and count them every day. It tracks steps, distance, calories, rate (miles per hour or kilometers per hour) and exercise time, giving you a slightly more limited but still fairly comprehensive sense of your fitness levels. Best of all, it’s very easy to program with an easy to read large LCD display screen and big buttons on the front. Programming instructions are very simple, and it has a built in clock. This allows it to act as a watch, but the main reason for this feature is to allow it to reset every night at midnight to give you a fresh start. This little pedometer is also very small and portable. Just throw it in your pocket or purse and you’re good to go. It comes with an optional use clip as well if you think that would be more secure. It’s a great easy to use pedometer for elderly people. Next, this little device is a bestseller in the pedometer category. It also uses a 3D tri-axis sensor to track your daily activity with accuracy and consistent performance. Similar to the one above, it tracks your steps (walking and running), your distance in either miles or kilometers, the number of calories you have burned, and exercise time. But what gives it an edge over the other one is that it also stores up to 30 days of your daily records, which helps you track your long-term habits and see how you’re doing on your fitness goals. It’s also very easy to set up, with an easy to follow user manual and even an e-video to give you step-by-step instructions. Don’t worry though, that’s the extent of the outside technology with this device. It doesn’t have any sort of Bluetooth or smartphone capabilities. Users praise this company’s customer support system as well if you ever have trouble. Clip this device to your waistband or shirt, or wear it around your neck with the included lanyard. Check its large display with a built in clock and step goal for live updates as well. It comes in 4 fun colors to match your personality too! Personally, I think this one is the best pedometer for seniors. Seniors are turning to exercise for increasing strength, improving their balance, and overall health. Many take walks, ride bicycles, use treadmills and even use exercise bikes. As you can see, the best fitness trackers for seniors do so much for them by tracking more than just their activity. Most models will give them a reminder to get up and get moving. They also monitor heart rate and sleep patterns. For seniors who also use a cell phone, these little gizmos even give call and text notifications. Active seniors will like tracking the results of their exercise programs. Just make sure that you find an easy fitness tracker for seniors to use. They are going to want a simple interface with large display and print. Buttons and menu controls should be easy to understand, activate, and use. Keeping these in mind will make help ensure the senior actually use the device. Do you have a fitness tracker that you have used with a senior or elderly person? Feel free to share your recommendations and opinions in the comments below. If you think someone you know would benefit from this article, email or share it on your social media page with your comments! There may be an effectiveness limit related to stride-length. I just purchased a FitBit Charge 2 for my 87-year-old father. He walks both with and without a cane, but he has a short-stride, shuffling step. I can’t get the FitBit to register any of his steps, even setting the stride-length down to 2 inches. It will record his trips up/down stairs, but I don’t think it’s worth the cost just for that and heart-rate. Also, although you can change the daily-steps goal, you can’t change the hourly one, and 250 is a lot for him. I’m hesitant to try the other two on this list, because I’m afraid they will have the same problem. It may be that there isn’t a good technological solution for him. I second Blair’s comment. My mom is 88 and moves with a walker. Despite what the salesman said (! ), the Fitbit Charge 2 didn’t register her steps. I’m looking for a tracker that will give her that gentle encouragement to get out of her chair and take a turn around the room, and maybe give her the reward that Fitbits give you when you reach your step goal. Hi Suzanne – thanks for your comment. I have been researching this and have even checked with some of my therapist friends but I have not found a tracker I can recommend for a senior with a shuffling gait. (I updated this guide too). I did have one therapist say that they felt the pendant-worn trackers seemed to work better overall because they are free to move even if the arm is stationary like when someone uses a walker. But, I haven’t been able to verify this. Thanks again to you and Blair for bringing this to my attention so that I can share it with other people in the same situation. I too am looking for a step-counter type device for my 83 yo mother. She uses a walker and we need to be able to encourage her to walk more by being able to count her steps plus a counter will give her a solid view of what she is really doing. She thinks she is walking a lot but in actuality she isn’t. She uses both a walker and a cane so the short, shuffle steps are an issue with her too. Hoping you have some luck so we can find one for her too. My problem is trying to set it up due to arthritic fingers. 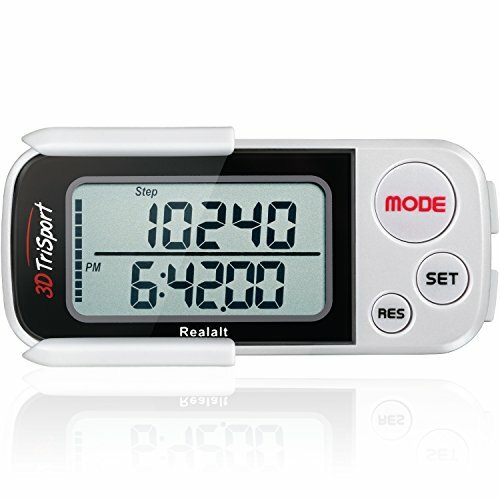 What is the easiest pedometer to set up for an 80 year old with severe arthritis? Are you aware of an application for iPhones that sends an alert to a family member if the owner of the phone has not used it for 24 hours? I live alone and that phone inactivity would mean I was not functioning properly. Thanks! Hi Ann – I’ve looked for about 30 minutes now and haven’t found anything. I’ve searched the App store, Google, Quora, and the Apple website – nothing! Have you found anything. That sounds like an awesome idea that someone should develop. Ok. So I’m 33, but have Postural orthostatic tachycardia and likely ehlers danlos syndrome. I found this because I’m looking for an accurate step counter. I definitely move gingerly and have a slight shuffle gait when doing housework. But I want those steps to count because it’s hard work. Hopefully you are able to find a winner and can share if you have! I have a Garmin vivo smart hr+ and I know it’s missing steps! Hi Scott, thanks for a great review. Would be great if you could consider reviewing including some of the less well-known brands that are also on the market. I’m thinking e.g. Xiaomi etc. not because I am affiliated with them, but their price point is usually half that of the top brands, but in general seem to offer some decent functionality for the money. At a time when the economy is not doing a great, better value for money is also on people’s minds too. I am on the look out for a fitnerr tracker for my older relatives, hence came across your post. Thanks. Hi Flic! I am working on a similar thing right now… I have an article in the works about less expensive pedometer options for seniors who just want to count steps. Hope to have it up by the end of the week and I’ll post the link here for you. Thanks for reading my article about senior-friendly fitness trackers and for your compliments.! Thanks Scott, will look out for your next article and would also like to suggest swimming as a separate expansion/section for your excellent reviews, as assume seniors are more likely to gravitate towards activities that are less harsh on dodgy joints. I also have to apologise for the appalling grammar/typos in my last comment *facepalm*. 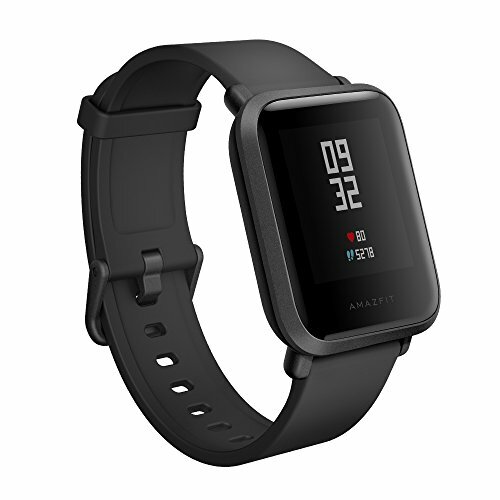 I am currently looking at The Amazfit per your recommendation 🙂 thanks again! Hi, what a great review, and great discussion! My parents liked to take long walks for fitness, but now years have passed, and on some days it is difficult to even take one step. I was looking for info about these fitness trackers, thinking about that a tracker might give some encouragement. Those short steps might be an issue, as said here.